What grass will grow anywhere? What is the best types of grass for lawns? To answer this question, it best to know which climate zone you live in to determine which type of grass to use. There are two types of grass – cool season grasses and warm season grasses. Read on for an introduction on how to find out which grasses are best for your area of the country. Are you wondering what grass will grow anywhere? Here we discuss how to plant the best lawn by using a zone map and cool or warm season grasses. When searching for what grass will grow anywhere, it is important to keep in mind what location of the country you live in. Grasses can be divided into two categories – cool season grasses and warm season grasses. The grasses that fall into the cool season variety include Bluegrass, Ryegrass, and Fescue. Grasses that fall into the warm season category include St. Augustine, Bermuda, and Zoysia grass. 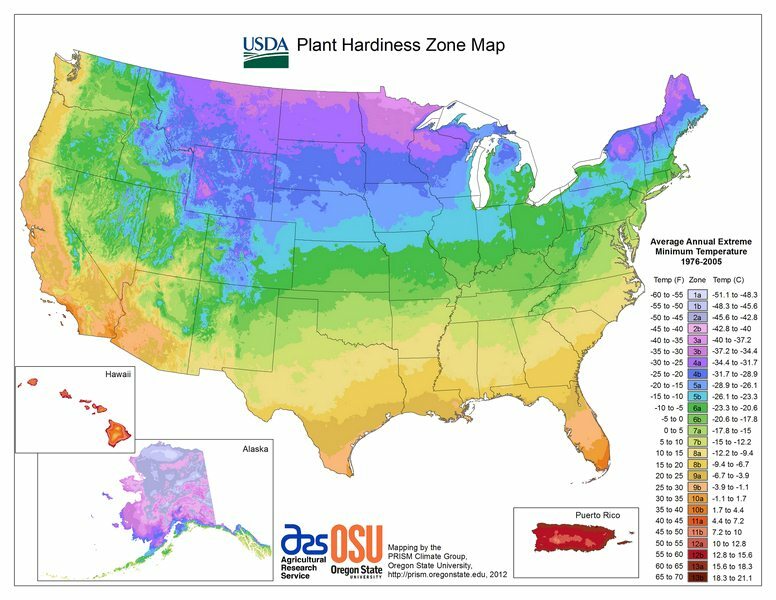 In order to pick the best grass for your lawn, you will need to consult a USDA zone map to see which zone you fall under. If you live in zones one through five, you will want to plant a cool season grass. Those who live in zones eight through 11 will do better with warm season grasses. Zones five and six, however, fall in between the ideal temperatures for warm and cool season grasses, so you may want to try planting a blend of cool and warm season grasses. Kentucky Bluegrass is one of the most common cool-season grasses used when you want a high quality, lush lawn. While it does go dormant in hot, dry weather, this can be combated by overseeding with a warm season grass such as St. Augustine or Bermuda. As with most grasses, it prefers full sunlight and has a poor tolerance for the shade. It can be planted by seed or sod and needs a regular irrigation schedule. However, it will survive droughts by going into a dormant state should the need arise. Kentucky Bluegrass will grow to a height of 18″ to 24″ tall if left untouched, but it is recommended that it be mowed to a height of 1 1/2″ – 2 1/2″ tall. Although bluegrass does need regular fertilization, it is a relatively low maintenance grass. Ryegrass is a versatile grass that can be grown on its own or blended with other types of grass for overseeding purposes. 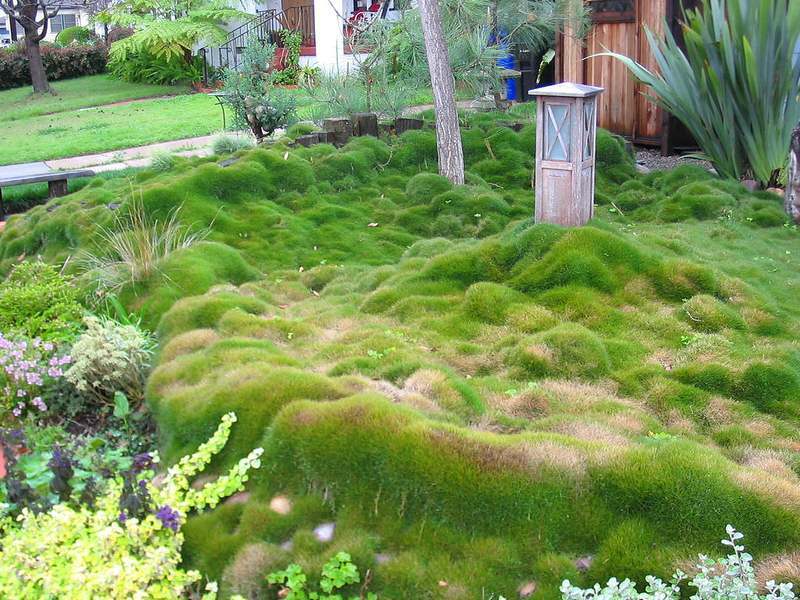 On its own, it provides a lush green lawn that is adaptable to many soil types and climates. Fast growing, it will leaf out quickly, providing you with a beautiful lawn in no time. Used with other grasses it provides color, erosion control, and helps to fill in any brown spots from lawns that have gone dormant. With all the benefits of Ryegrass, however, it does take quite a bit of maintenance to keep it up. You will need to fertilize it regularly, keep it mowed to about 1 1/2″ on a regular basis, and fertilize quite often to keep it healthy and green. Fescue grass is perhaps one of the best cool-season grasses due to its versatility and shade tolerance. It remains green longer than most grasses and is lower growing than most grasses used for lawns, which means less mowing for the homeowner. Versatile, it adapts to a wide range of soil types, making it an all around easy to grow grass for any type of environment. St. Augustine is one of the most popular grasses for the southeastern United States, particularly Texas. While it does well in coastal regions and thrives in hot conditions, it goes dormant when the cooler weather comes. However, it comes back green and strong once the warmer temperatures of springtime arrive. St. Augustine is a low maintenance grass requiring normal fertilization and regular mowing to a height of about 1 1/2″ – 2 ” tall. Like St. Augustine, Bermuda grass is common to the southeastern United States. Used in parks, golf courses, and baseball fields, it is a high quality, turf grass. Drought resistant, it provides a tough low maintenance lawn. With proper mowing techniques and a regular irrigation and fertilization schedule, it will provide the homeowner with a rich, lush lawn. It does, however, go dormant in the cool season, and may require overseeding with a cool season grass. Extremely drought tolerant, zoysia grass is one of the best warm season grasses. While it will turn tan under severe drought conditions, it responds well to irrigation and fertilization and will green right back up when taken care of properly. It is also versatile, with a good tolerance for shade and cooler weather, unlike Bermuda and St. Augustine. With proper mowing to a height of 3/4″ – 2″, zoysia grass will provide the homeowner with a lush, low maintenance, a tough lawn that can withstand even the toughest of droughts. There are many types of grass that will grow anywhere, you just have to find the right types for your climate zone. Once you have discovered what zone you are in, and which types of grass grow best there, half the battle is over. Then, all you have to do is follow proper care guidelines for that particular type of grass and you will be well on your way to a lush, beautiful lawn.